The Lake Country Area has some of the finest bars, restaurants, and coffee shops owned by fantastic local folks! 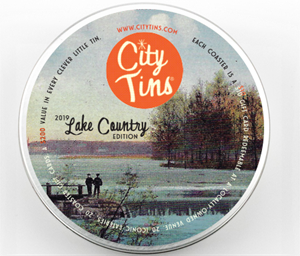 This tin includes 24 of the best Lake Country local establishments! Each establishment has a coaster for $10 off $25 or more. That's over $240 in savings on the best drinks, burgers, steaks, you name it!